Comments - Lovely design of a long-tailed bird perched on a branch of a blossoming plum tree. The brand is covered with white flowers and buds, and the sky is delicately shaded in rose. 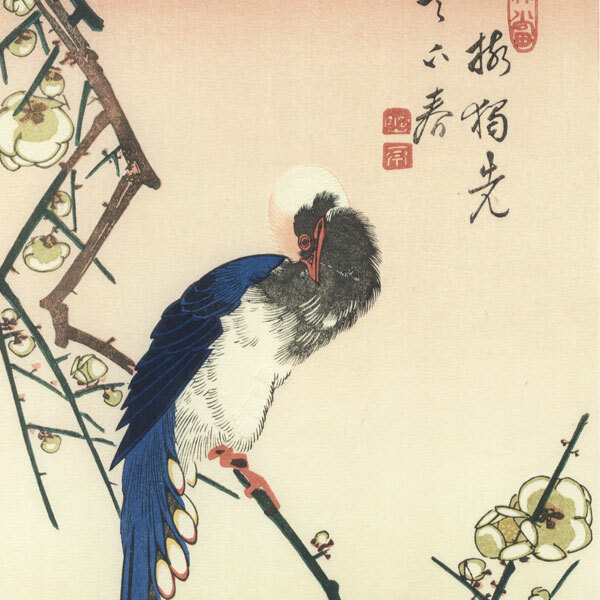 A beautiful example of Hiroshige's kacho-e, birds and flowers prints. A fine choice for display.